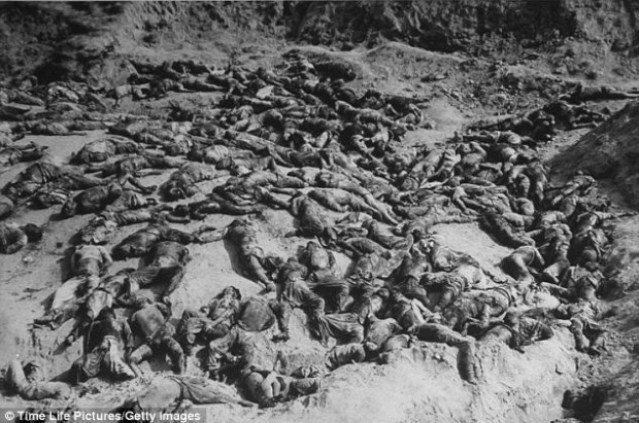 Mass grave of Koreans slaughtered in 1945 by U.S.-imposed government. 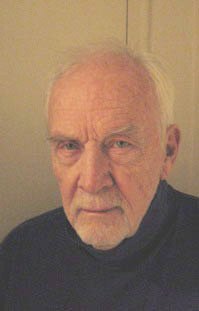 This veteran is waiting for the year in which the Veterans For Peace, in its Memorial Day Press Release, states that Veterans mourn first, the lives America took in poor countries, both the civilian men, women and children, and the patriots that fought our illegal and criminal invasions since 1945. Only then should they come bitterly mourning GIs who were duped by our elected officials and the CIA and Pentago- fed, corporate-controlled war-promoting media cartel fooling them with lies, misinformation, disinformation and psy-op techniques that deceived them into proudly following homicidal criminal orders, for which they obviously liable for prosecution. 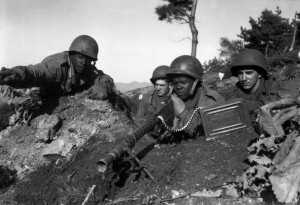 U.S. soliders in Korean War 1950. 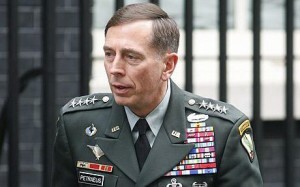 David Patraeus, formally CIA Director and 37-year military veteran who commanded U.S. forces in Iraq and Afghanistan. State Department officials quickly shut down the democratic all-Korea government the Japanese commanding general had allowed Koreans to form, once Japan was defeated. Knowing this Korean government would not be pro-US., they set up in its place, a US Army military government; cut the nation in two and installed a brutal Korean from Washington as President. His special services and secret police would account for massacres totaling up to nearly 200,000 men, women and their children, in the years before the army of North Korea invaded and united the peninsula in five short weeks as the army of the Southern dictator defected or went home. UNCOVERING THE HIDDEN HISTORY OF THE KOREAN WAR: THE WORK OF SOUTH KOREA’S TRUTH AND RECONCILIATION COMMISSION from Eric Sirotkin’s Ubuntuworks on Vimeo. These massacres of communists, socialists, unionists and people that did not accept the US partition of their country kept secret by American media have now been fully documented by a Truth and Reconciliation Commission set up by the South Korean Congress. [Korean Truth and Reconciliation Commission, Wikipedia] The US has recently officially apologized for its own massacres of civilians in the South. North Korea today is the most militarized nation on the planet because it was leveled twice by merciless bombing, threatened with atom bombs, and for sixty-three years has suffered US-arranged international sanctions meant to cripple it, and a continual campaign of slanderous attack in US media and never ending threats from Washington. Twice a year, great war game exercises go on so near its coast that the booms of US naval ships’ cannon and missiles are clearly heard in its capital city. 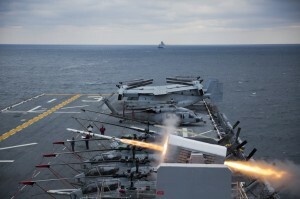 Last month saw the largest naval live-fire exercise in history, reportedly with North Korean flags painted on targets. What else could be the explanation of its leader threatening to hit the US with the few nuclear weapons it has, knowing the America that menaces it has 20,000, and the most powerful armed force in the history of the world. But we have seen “the crazy North Korean leader story” on prime time for a month. Last year right after US-South Korean war games, a South Korea warship was blown in two, probably by a US mine, but what is believed all over the Western media-dominated world is that was an old North Korean torpedo. Who knows or cares that the Chinese, the Russian Navy and a Japanese investigation found the accusation not credible, that the US and its UN Secretary General stooge refused to consider a North Korea request for a UN investigation of what it was accused of. [see N. Korean Torpedo Accusation Fizzles: Strong Probability of US Mine Strike Investigated, Counter Currents 6/11/2010] No, the torpedo story was featured for weeks to justify tighter that ever sanctions and stronger threats than before, and Libya was a frightening example of what may be awaiting it. 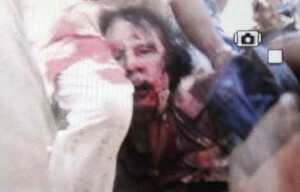 The U.S.-ordered assassination of Col. Muammar Gadhafi, leader of Libya and the Organization of African Unity. Remember, invading little countries was nothing new for the US before World War II – Mexico, Nicaragua, Haiti, Philippines, China, Puerto Rico, Cuba, and more. Again, this veteran is hoping that the Veterans For Peace Memorial Day Statement Press Release will say that VFP, or at least many if not all VFP, mourn the patriots of US invaded countries that fell fighting against overwhelming odds, and their civilian countrymen and children who also fell in harm’s way of those US invading forces. To be polite, we mourn them first before mourning our own soldiers who were killed in the line of duty following our government’s criminal orders. Otherwise how can anyone believe VFP condemns the taking of all these millions of lives of poor people overseas in illegal criminal military action; an illegal use of military that the Representative from Texas, Congressman and Republican candidate for president, denounced (but did not call for prosecution). Rev. King was dangerous for the elite investing community that rules the 99% of us. He condemned all US wars and clandestinely organized violence “all around the world “created to maintain “unfair predatory overseas investments.” King had the charisma to have prosecuted successfully what he called atrocity wars and crimes against humanity in the street and in the court of public opinion as he prosecuted successfully racist crimes against humanity at home. Members of the Memorial Day Press Release Drafting Committee should realize, if not worrisomely, that there are very few people who believe that Veterans For Peace will bring these wars to a end or intends to do so, even though, logically, those who willing did the killing are the Americans who should most be able to lead their being made unacceptable and eventually inoperable. I believe Ramsey Clark, Noam Chomsky, Ed Herman and Gustavo Esteva would glad to vouch for my sincerity and integrity and familiarity with history and current events. Dissident Voice supports the call to Prosecute US Crimes against Humanity Now Campaign with link bottom of each issue of its newsletter. It should be re-named “Politicians’ Day”. Like the imams of the Muslim world, our politicians alone are legally charged to send American boys to kill and die at their whim – (in the name of “…Your Country”). Pols alone have filled our military cemeteries. What African- American Americans are living better in the Muslim Nations ? What African- Americans have benefits from Africa ? What African- Americans have benefits from Libya ? What African- Americans have been welcome to Live in Africa ? What African- America have been welcome to Live in the Middle East as Christians ? Who were the African Slave Arab Traders ? How are African- Americans treated in the Muslim World? 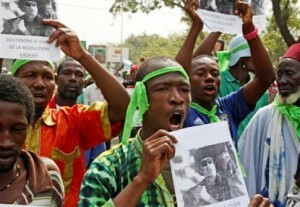 How many African- American want to live in Africa ? What do African- Americans have in common with Africa ? Have African Leaders help African- Americans to prosper ? What is Africa ? Who are the Africans ?